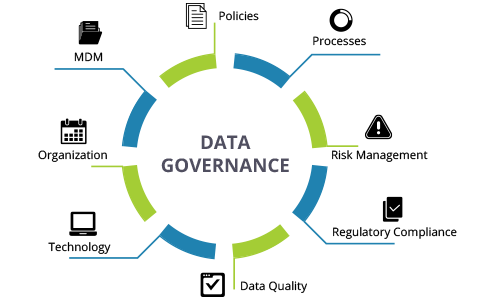 Data governance involves decision-making, management, and accountability related to data in an organization. Often, a data governance team is built to ensure proper handling of data. This is necessary to instill data quality. Data governance programs are designed to prepare rules and regulations for an organization and to handle any issues that may come up regarding data. They also ensure compliance to policies. Writing a data governance charter with the help of key stakeholders ans employees is essential. For this, elaborate discussions are a must. The document will have a mission statement and explanation of the overall goals of the program. There should be an executive to sign off the document before the implementation. The model that is chosen for the data governance structure is included in the charter and explains who has the authority to do what with data. It will also explain how wide reaching the data governance standards will be. There are many data governance models and not all will be a suit every organization. A 3 tiered approach includes a group of senior-level executives, often called the Steering Committee. It makes high-level decisions. The middle management group, the Data Governance Office offers guidance. The Data Governance Working Group carries out much of the administrative work. The Working Group contains subject matter experts in both business and Information Technology (IT). In “Hierarchy A” , policies begin at the of the pyramid and then pass through the channels below it. It first goes to the IT governance team then to data warehouse team, and finally to data governance team. In “Hierarchy B”, data governance drives all decisions. In this type of framework, the governance of the data receives preferential treatment. The data governance structure covers business rules and policies, the quality and integrity of data, security of data and compliance with rules and regulations, audits and controls, and much more. The Committee is comprised of executives and stakeholders (senior vice presidents and vice presidents) whose data is being governed. This includes functions like Marketing, HR, Finance etc. The head of the Committee would be a senior level executive reporting to the CEO. He has authority to approve project budgets as well as get projects on a priority list. The Steering Committee directs the data governance process across the entire organization and ensures that the policies and procedures are developed and followed. This group must be willing to participate in all things related to data governance in the organization and report the information to the Data Governance Office and the Data Governance Working Group. 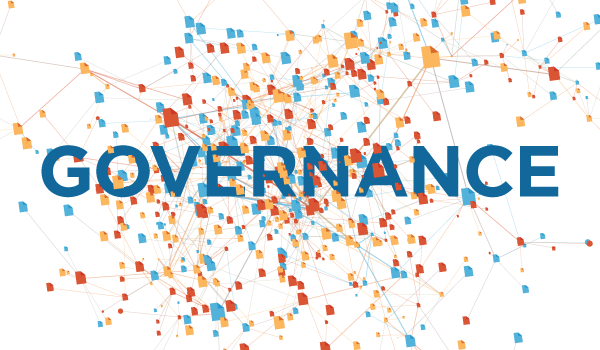 The Data Governance Office, also called the Master Data Council, enforces data governance. They work with all business units and IT so that data governance and strategies remain common throughout the organization. It proposes which data governance projects to spend money on, coordinates between business and technology groups, establishes success metrics, monitors and reports data quality and data governance metrics. Members of the Data Governance Working Group are manager-level or above people who liaise between business and IT. They drive the data management and data quality for specific subject areas and have subject matter expertise for both business and IT issues. The Working Group can recommend projects based on the usage of data. Members should be leaders and be able to make decisions as a team. The most effective way to improve data quality, and avoid the associated costs of bad data, is to institute better data management practices. Implementing a data quality team that is tied to executive level sponsorship can result in the creation of enforceable policies, procedures, and standards that will enhance enterprise-wide data quality. Those in the Data Governance Working Group create policies based upon the program goals in the charter. Policies must be approved by the Steering Committee before enforcement. Ensure that all the stakeholders adhere to the policies. In particular, when it is about data quality. Thus, policies should be documented and communicated to all the stakeholders. A policy that is not readily available will rarely be read. They should contain metrics that have tangible value in order to show how adherence to the policies can make a significant impact on the business. Data governance needs both business experts and IT experts. Business experts communicate to others what the business needs are in relation to the data. Communicate as to how data is collected and how it will be used by the decision-makers, such as CEOs. They must also understand how poor data enters a system and develop ways to correct the problem. The authority to make changes to poor data at the enterprise and departmental levels should rest with them. The IT team members need to be highly skilled in technology. The team provide tools for the people on the business team to work with the data. They support the applications that are used by the company’s data. The applications must be able to understand business policies and incorporate them into IT. They must keep the number of tools at a minimum; the simpler, the better. While the business side handles policy development, IT will handle the actual data compliance and security features. IT can also provide metrics to help the business experts evaluate data quality and policy adherence and determine if any changes need to be made. Data governance is necessary in order to handle data effectively and instill data quality across the organization. Choosing the best model for an organization, selecting the right team members, and ensuring continued compliance with policies and procedures are the foundation for building an effective and successful program that will improve a company’s data for years to come. Previous PostPrevious What are the different types of financial risks? Next PostNext What is the impact of GDPR on business?